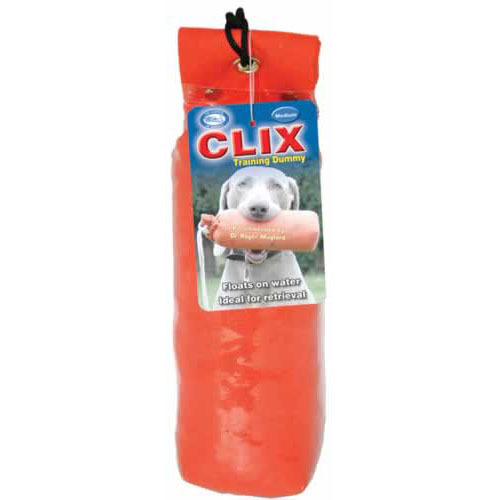 The medium sized CLIX Canvas Training Dummy is designed for retrieval training. It is brightly coloured, making it highly visible and therefore easy for dogs to find. There is a small rope attached to the top enabling you to throw longer distances with ease. Training Dummies are made from 100% canvas outer with a dense cork filling, which enables them to float.